More loot to add to the already too-big pile I have waiting to be read. 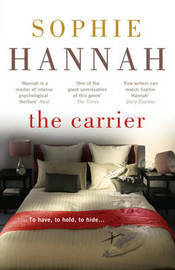 The Carrier by Sophie Hannah.......a man confesses to the murder of his wife but everyone thinks he's lying! I always enjoy Sophie Hannah's psychological thrillers - reading this now and it's as good as expected. 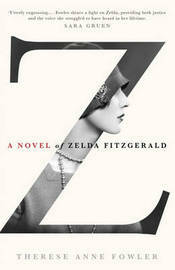 Z: a novel of Zelda Fitzgerald by Therese Anne Fowler......set against the glamorous backdrop of the Roaring Twenties it tells the story of a woman trying to find her identity in the shadow of her celebrated husband. Has been receiving good reviews so looking forward to this one. 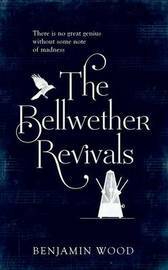 The Bellwether Revivals by Benjamin Wood.......I like to discover a book I've never heard of on the shelves and not sure what to expect here - it's described as ' a masterpiece of psychological suspense sure to appeal to fans of Donna Tartt'. Sounds promising. In her Shadow by Louise Douglas.......' She thought she'd left her past behind. Now it's coming to find her'. Chosen because I couldn't resist the cover! 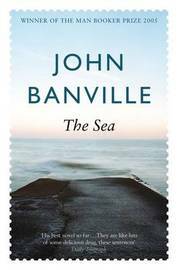 The Sea by John Banville.......one of those books I've been meaning to read for ages. 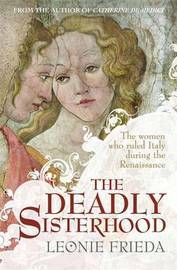 The Deadly Sisterhood by Leonie Frieda (NF)......' a story of women, power and intrigue in the Italian Renaissance.' I read Catherine de Medici by this author and it was excellent. Another lovely pile of library books. I have The Carrier out too, and The deadly Sisterhook is on my 'one day' list. :-D - I think the deadly sisterhooks will be fascinating reading. The Deadly Sisterhood sounds great. Enjoy your loot! It does! Definitely my sort of book. I keep seeing Z everywhere. Enjoy your loot! So did I - blogger recommendations make me want to read it so hope it lives up to expectations. You have Z! I am immensely jealous, I must admit. Sophie Hannah is one of those very reliable thriller writers. They are always as good as you expect. Enjoy your reading! I know the feeling - so many books that aren't available here I envy bloggers who are reading them. The Sea was a favorite several years ago - enjoy! I really want to read Z.
I've been meaning to read The Sea for a long time . I've heard so many good things about Z. Enjoy! The reviews do seem to be positive so should be a good one.